Shearing: First the material, such as wool, must be sheared from the sheep. Teasing: Next, the sheared wool must be teased, or cleansed of unusable parts. Scouring: Next, the teased wool must be washed and cleaned to remove any grime and dirt. Carding: Next, the scoured wool must be carded, or combed to untangle its knots and create smooth threads. The carded wool can then be rolled into a smooth ball of material. In Hebrew this process is called Niputz. Roving: Next, the carded wool is ironed and stretched into roving, which is thin fine strips of wool that look similar to a thread, although are not yet spun and will hence tear easily. Spinning: Next, the carded wool ball is spun through a spinning machine to form threads. In Hebrew this process is called Teviyah. Interweaving: Next, if one desires to make thick and durable strings, one interweaves multiple threads, thus forming a strong thread or yarn. In Hebrew this process is called Shezira. Dyeing: Bleaching the wool can take place prior to any of the above steps. Garment making materials: The Tzitzis strings may only be made from materials that are used for making garments. If one used materials that are not useable for garment making, then these strings are invalid for Tzitzis. Thus, one cannot make the strings using the scraps of wool that come off the sheep when they sit near thorny areas; nor from the fibers that shed from the sheep; and nor from the leftover material that remains by the woof of a woven garment. If one used any of these materials to make Tzitzis, the Tzitzis is invalid. The same applies to all poor quality wool from which garments are not made, that they are invalid for Tzitzis. The type of material: The Tzitzis strings may be made of any material of which a Tallis can be made [i.e. wool; silk; cotton; not leather; linen only in a time of need]. Nevertheless, it may only be tied to a four cornered garment of that same material, with exception to wool Tzitzis of which the custom is to use for any material garment. See Chapter 3 Halacha 2 for the full details of this matter. The color of the material: All colored strings are valid for Tzitzis. Nevertheless, it is disputed whether the Tzitzis color must match the color of the garment. Practically, the custom is to use white Tzitzis on all colored garments. See Chapter 3 Halacha 4 for the full details of this matter. 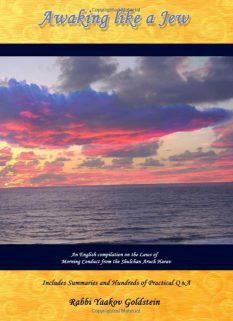 Stolen or borrowed material: See Halacha E! How many threads must be interwoven to make a string? It suffices to interweave two threads together, and according to some Poskim one is not to initially interweave more than two threads. Others however rule that the string is to be interwoven using 8 threads. Practically, the custom today is to be stringent to follow both opinions. The manufacturers take two separate threads and fold each thread into four. Each four part folded thread is then interwoven, forming two strings, each made up of four threads. These two strings are then interwoven, thus forming a string that is made up of two separate threads [as requires the first opinion] that have each been folded into four, for a total of eight threads, as requires the second opinion. Is one to fold the same thread into two and then interweave it or is one to interweave two separate threads? The thread is to be folded into two and then interwoven. Alternatively, one can take two separate threads and then interweave them. See the previous Q&A that in today’s Tzitzis manufacturing two separate threads are folded to four and then interwoven, thus following both options. C. Must the strings be made “Leshma”? Leshma by the Niputz/Carding of the wool: The process of Niputz/carding the wool is not required to be done Leshma, for the sake of the Mitzvah, and so is the custom. [It is hence permitted to have this stage performed by a gentile or by machine.] However, there are meticulous Jews [Baal Nefesh] that are stringent upon themselves to require even this stage of Niputz to be done Leshma. May one initially think the words of Leshma in his mind rather than verbalize it? No. One must initially verbalize the words. Bedieved: If one stated in his mind that he is weaving the Tzitzis Leshma, but did not verbalize it, the Tzitzis is valid despite him not having verbalized his intent. However some Poskim leave this matter in question. Some Poskim rule one may even initially purchase such Tzitzis, as they are Kosher Bedieved. Others however rule one may not purchase such Tzitzis, and only if they were already tied to the garment may one be lenient. What if one is in doubt if the strings were spun Leshma? One must be stringent and consider the strings to not have been spun Leshma. How often must one recite “Lesheim Mitzvas Tzitzis” during the spinning process? The statement of Leshma is only required to be said prior to one beginning the spinning. How often must one recite “Lesheim Mitzvas Tzitzis” when spinning many bags of wool? So long as an interval was not made in-between, it suffices to say it one time. If however an interval was made one is to repeat it prior to continuing. Is there a Hiddur to do the shearing of the wool Leshma? Some Gedolei Yisrael were scrupulous to do so, although it is not mentioned in the Poskim. May the Niputz/Carding be done by machine for those who are meticulous to also do this stage Leshma? Yes. One is to intend to do so Leshma at the time of activating the carding machine. Is the roving of the carded wool included in the spinning process, and must hence be done Leshma? Some Poskim rule the roving of the carded wool is included in the spinning process [Tevia] and hence must be done Leshma. Other Poskim rule it is not included in the spinning process, but rather in the Niputz and it is thus not necessary to do it Leshma. Practically, those that are lenient have upon whom to rely, and this process may thus be done by machine. What is the law if Leshma threads were interwoven with non-Leshma threads? The string remains valid so long as the string contains at least two Leshma threads. What is the law if a non-Leshma string was used as one of the four strings of a set? If one of the strings of a set is made of invalid material, that entire set is invalid, as the string is not nullified. D. Who may make the strings? Gentile: A gentile is invalid for making the Tzitzis strings. If a gentile was involved in the string making process, either by spinning the material into a thread [טוויה], or by interweaving the threads into a string [שזירה] the Tzitzis is invalid. This applies even if a Jew was standing over the gentile and telling him to make the strings for the sake of the Mitzvah of Tzitzis, nevertheless the strings remain invalid. [This applies even if the gentile stated he is doing it Leshma.] Nevertheless, if the Jew assists the gentile even slightly in the [spinning and interweaving] process, it is valid. Gentile: A gentile is invalid to make the Tzitzis strings unless a Jew assists in its making. Women: Women are valid even initially to make Tzitzis strings. Children: Children are only valid to make Tzitzis strings if they have supervision of an adult Jew telling them to do so Leshma. 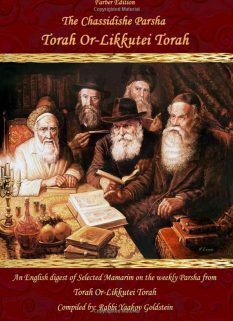 Shoteh/Cheresh: A Shoteh and Cheresh is only valid to make Tzitzis strings if they have supervision of an adult Jew telling them to do so Leshma. 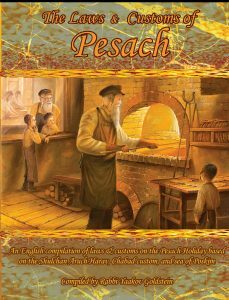 May a non-observant Jew perform the spinning process of the strings? No. This applies even if an observant Jew is supervising him. However, the Poskim conclude that non-observant Jews which are considered Tinokes Shenishbu are valid to be used for the spinning process so long as they are trained to do so Leshma. Practically, one should only buy Tzitzis from Jews that are G-d fearing and can be trusted to do everything as is required in Halacha. May a Shabbos observant Jew that does not wear Tzitzis spin the strings? Yes. Practically however, one should only buy Tzitzis from Jews that are G-d fearing and can be trusted to do everything as is required in Halacha. Is machine made Tzitzis Kosher? Some Poskim rule machine made Tzitzis is invalid. Other Poskim rule machine made Tzitzis is valid, and so is the ruling of the Chabad Rabbeim. Practically, one is to avoid using machine made Tzitzis. However, if hand-made Tzitzis is not available then machine made Tzitzis may be used. How to make machine Tzitzis Leshma: The machine must be turned on by a Jew for the sake of the Mitzvah, even according to the lenient opinion. Whenever the machine stops in middle, it is to be turned back on only by a Jew for the sake of the Mitzvah. The Niputz/Carding: The Niputz/carding of the Tzitzis may be made by machine, even according to those who are stringent to require it to be done Leshma. One is to intend to do so Leshma at the time of activating the carding machine. The roving: The roving of the Tzitzis may be made by machine, even according to those who are stringent to require it to be done Leshma. One is to intend to do so Leshma at the time of activating the roving machine. A mechanical machine: A non-electric machine which is run by human power is not considered a machine in the above regard and is hence valid according to all opinions. One must own the Tzitzis strings used to tie to the corners of his garment. Therefore, those Tzitzis strings that are Halachicly defined as borrowed, as will be explained, are invalid and may not be used by the borrower to tie to the corner of his Tallis. Likewise, stolen Tzitzis that Halachicly still retains the ownership of the original owner, as will be explained, is invalid. Borrowed strings: Borrowed Tzitzis strings are considered the ownership of the borrower if they were borrowed with the revealed intent of using them as Tzitzis for one’s garments, or if they were borrowed with intent to return a different set of Tzitzis to the lender. Thus, if one borrows Tzitzis strings from his friend and one knows that his friend is aware that he is borrowing it for the purpose of tying the Tzitzis to his Tallis for the sake of the Mitzvah, and it was on this basis that he lent him the Tzitzis, then the borrower may even initially use them for his Tallis. This applies even if the lender stipulated that these exact strings must eventually be returned to him, after the borrowing period expires. 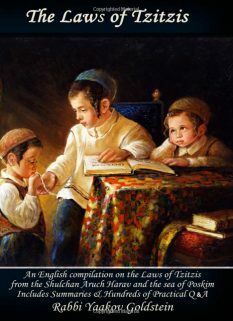 If the Tzitzis were borrowed on the premises that the borrower will return a different set of Tzitzis to the lender, then the borrower may even initially use the borrowed Tzitzis for his Tallis, even if the lender is unaware of the borrowers intended use. 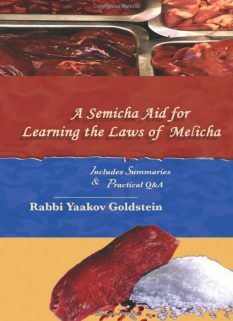 If however the lender stipulated that the borrower will return that same set of Tzitzis after the borrowing period expires, and the lender was unaware that the borrower is borrowing the strings for the sake of the Mitzvah of Tzitzis, and rather thinks that he intends to use them for a different purpose, then they are invalid. One must own the Tzitzis strings used to tie to the corners of his garment. Therefore, borrowed Tzitzis strings that are required to be returned to the lender, and were not borrowed with intent to use for the Mitzvah, are invalid Tzitzis and may not be used by the borrower to tie to the corner of his Tallis. Likewise, stolen Tzitzis that Halachicly still retain the original ownership of the owner, from whom it was stolen, is invalid. May one purchase Tzitzis on credit, such as using a credit card; check, IOU document or a promissory note? Some Poskim write that the meticulous are careful to pay for the Tzitzis at the time of purchase and not pay on credit. Many Poskim however rule this is not necessary. The Chabad custom is not to be careful in this matter, and so is the worldly custom. If one refuses to pay: If one purchased Tzitzis on credit and refuses to pay the seller upon request of payment, then it is possible the Tzitzis are considered stolen, and are hence invalid. May one buy Tzitzis strings from a child? 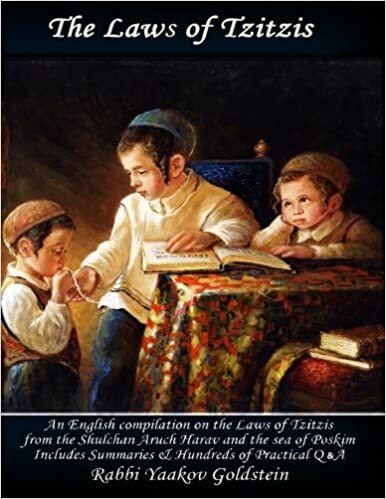 One may not buy Tzitzis strings from a child under Bar Mitzvah unless the child does not own the Tzitzis strings and is simply selling them on behalf of an adult. What is the law if one tied the strings to his garment prior to owning the strings? One may not wear the garment until he acquires the strings. When the acquisition is made the Tzitzis is valid and is not required to be retied. What is the law if one accidently switched his Tzitzis strings for his friends and used his friends Tzitzis strings to tie Tzitzis to his Tallis? Seemingly, one may not use the Tallis, and the Tzitzis are invalid until he purchases them from his friend, or has his friend agree to take his Tzitzis in exchange. Once the acquisition is made the Tzitzis is valid and is not required to be retied. Is one to avoid using strings that he did not pay for, such as strings that he received as a present? So long as one owns the strings, they are valid, irrelevant of how he acquired them, whether through purchasing or as a present. Nevertheless, the Zohar emphasizes the importance in using one’s own money to purchase objects of a Mitzvah. May one wear Tzitzis that he stole from his friend as a mere prank? Other opinions: Some write the reason is because using such material is a belittlement for the Mitzvah. [Michaber ibid] The M”A ibid negate his opinion based on the Baal Hamaor, and so rules Admur ibid. This is opposed to materials from which a Tallis is exempt from requiring Tzitzis, such as plastic, nylon and leather. In this stage, one takes two or more threads that were spun and interweaves them, thus forming a strong rope or string. Thus, while a regular thread is a single strong string that was made by spinning fibers together, the Tzitzis string is made by the weaving of two or more of these strings to each other, thus forming a much stronger product. See Q&A that this is done by folding two single threads into four, interweaving each folded thread separately, and then interweaving the two strings together. Implication of Shaareiy Teshuvah 11/2; Pischeiy Teshuvah 11 in name of Kiryas Chana 27; Poskim in Piskeiy Teshuvos 11 footnote 62 Rishonim that mention interweaving two threads: Ittur Tzitzis 1; Rashi in Hapardes Tzitzis; Abudarham Seder Atifas Tzitzis; Rabbeinu Bechayeh Shelach. This process was described to me [the author] by Mishkan Hatecheiles as the process they use for making the strings. Piskeiy Teshuvos ibid writes that this process is the widespread custom today of all Jewry. Other opinions: Some Poskim rule that one is to be stringent that also the Carding/Niputz is to be done Leshma. [Maharal of Prague, brought in Derisha 11/1; Rav Akiva Eiger; Chasam Sofer 6; M”B 11/3; Kaf Hachaim 11/1] See Igros Kodesh 13/116 regarding a person who wanted to publicize this ruling to the masses and the Rebbe told him that he should emphasize that this is only according to the Mahral’s opinion and is not agreed to in the Shulchan Aruch. As rules Admur in 11/3; Michaber ibid; Vetzaruch Iyun if in the Siddur Admur holds that doing so is invalid, or simply that it is best initially for her to verbalize it. 11/3; Siddur Admur; Michaber 11/1; See Admur 32/31 above that even Bedieved there is room to invalidate it, and one must be stringent by a Biblical requirement. Roving is the stage between the Carding [Niputz] and spinning [Teviyah] in which the carded threads are stretched, ironed and bleached in preparation for the spinning. The question is asked as to which stage this process Halachicly belongs to. The reason: As a gentile does matters with his own personal intent and does not care to intend for what he was told by the Jew. [Admur 11/4; Taz 11/1] However see Admur 14/3 that if not for the verse regarding tying Tzitzis one would assume that a gentile may be trusted to do Leshma under supervision. Vetzaruch Iyun! Other opinions: The Chayeh Adam 11/13 allows the above only in a time of need. See Binyan Shlomo 1/2 regarding if the gentile explicitly has in mind not to do it Leshma. Other opinions: Some Poskim rule that women [children, Cheresh and Shoteh] may not make Tzitzis strings, neither the spinning nor the interweaving, even if a Jew is standing over her. [P”M 14 M”Z; Glosses of Nesiv Hachaim; based on Rabbeinu Tam Gittin 45 that invalidates women [and children] in the Tzitzis making process, being they are not obligated in the Mitzvah. The previous Poskim learn that even Rabbeinu Tam did not make his statement regarding manufacturing the string but only regarding the tying of the Tzitzis to the corner and so rules Admur in 14/2 [based on Taz 14/1] that even Rabbeinu Tam agrees children are valid for the spinning and interweaving.] 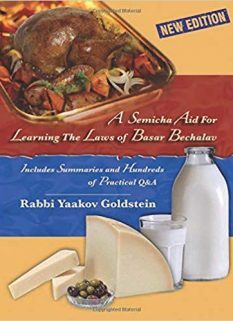 The M”B in Biur Halacha 11/8 “Tevaan Akum” concludes that one is not to initially allow a child, Shoteh or Cheresh to make the Tzitzis even if there is a Jew supervising him, although Bedieved or in a time of need one may be lenient. How often must the child be told to do it Leshma? The Biur Halacha ibid states that the Jew must constantly stand over the child and tell him to do it Leshma. This concept is not mentioned in Admur ibid. See Piskeiy Teshuvos 11 footnote 59 based on Chazon Ish 6/10 that we follow the beginning of the action of the spinning regarding Leshma. Other Poskim: See previous footnotes! If however one borrowed a Tallis from a friend, in which case it is exempt from Tzitzis for the first 30 days, then even borrowed strings are valid to be tied to the borrowed Tallis and a blessing may be recited over it, as explained in Admur 14/4. [See Chapter 2 Halacha 12 amd Chapter 3 Halacha 10] Furthermore, it is implied that such strings are valid even after 30 days, Vetzaruch Iyun. Other opinions: Some Poskim rule stolen Tzitzis is invalid in all circumstances. [Michaber 11/6; Taz 11/5] Admur in Kuntrus Achron 11/4 negates his opinion. Minchas Chinuch Mitzvah 325 explains that when the Torah invalidates the Tzitzis due to it being stolen then one is not considered to be fulfilling it at all, and it is as if he is wearing a Tallis without Tzitzis.